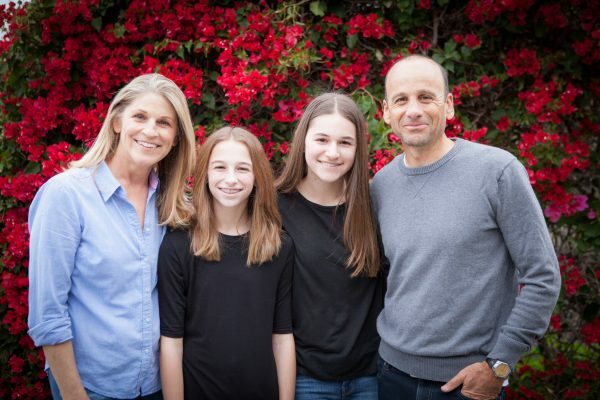 With the deadline approaching for those who intend to seek elected office, three so far have declared their candidacies for the Laguna Beach Unified School District Board. Two positions are open on the five-member board, which governs a four-school district of 3,000 students. Peggy Wolff, left, with her husband Josh and their two daughters, Kenzie and Shelby. First-time contenders Howard Hills and Peggy Wolff have filed their nomination papers, according to the county registrar. Incumbent and board clerk Jan Vickers must still complete her filing by adding a declaration of candidacy by Aug. 12. Wolff described herself as a community volunteer in her Aug. 2 filing. Wolff said she served as president of the Thurston Middle School PTA and on the board of Laguna Beach High School Scholarship Foundation. She’s also served nine years as a member of Laguna Beach PTA Council, a leadership committee, where she presently serves as technology chair. She also served on the board of Schoolpower, the foundation that provides enrichment to local public schools, and its endowment board. Hills, who lists his occupation as a constitutional lawyer and author, filed his candidacy on Wednesday, July 20. He said he has received contributions of $11,000 and is going door-to-door to seek votes. Current board President William Landsiedel said he will not seek re-election. Board members Ketta Brown, Dee Perry and Carol Normandin are midway through their four-year terms and do not face re-election until 2018. I commend Peggy Wolff for her track record of service in support of our public schools and welcome her to this campaign. If it turns out that we both are elected to the School Board it would be an honor to serve and work with her to make our very good schools even better.